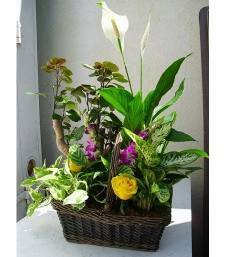 A green light means “Go!” and this all-green flower arrangement is ready to glow in any home or workplace. 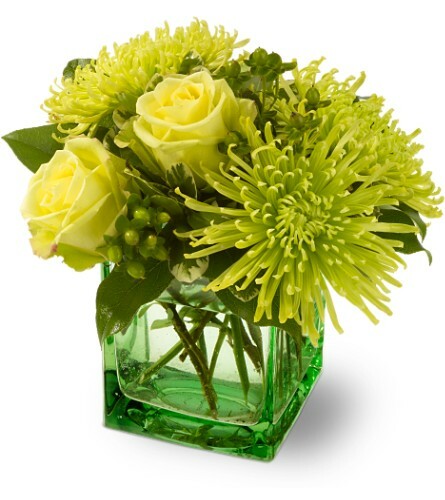 A soothing mix of green roses, spider chrysanthemums and greenery is delivered in a green glass cube vase. 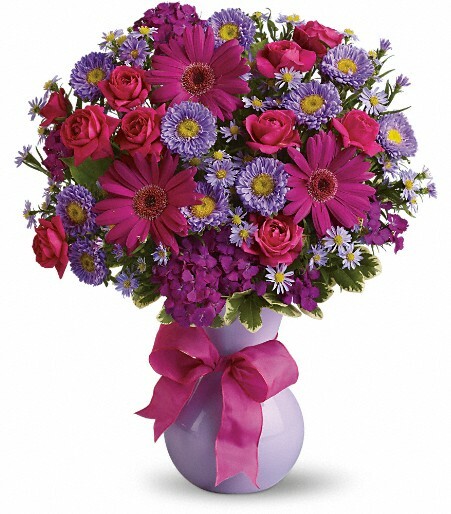 An excellent choice for any occasion. 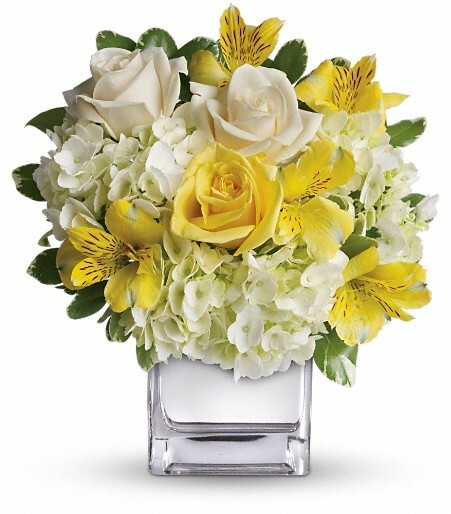 Green roses, spider chrysanthemums and hypericum – accented with salal and variegated pittosporum – are arranged in a Teleflora green glass cube vase.